There is no need to settle for overly cold and overly hot rooms, cold floors, or drafty windows in your home, especially since you're paying for your home to be heated and cooled. If you're experiencing any of these symptoms, your home is not operating at its maximum level of efficiency. Dr. Energy Saver by Keith Trembley Home Solutions is a full-service home improvement contractor, specializing in home energy solutions designed to improve home comfort and energy efficiency. From air sealing the attic to insulating the crawl space, we help residents all throughout Central Maine get back to living comfortable again at home. If you're interested in home insulation services or a complete home energy audit, call us today at 1-207-827-4205 or click below. We offer a free estimate in Bangor, Waterville, Augusta and the nearby areas. "They were very professional. They were in and out in a day..."
"It was refreshing to work with a company who employs great..."
"I'm very happy with the work. They were fast and did..."
From attics and roofs to crawl spaces and basements, Dr. Energy Saver by Keith Trembley Home Solutions has the products and expertly trained staff to properly insulate your home. Our line of insulation products includes fiberglass, cellulose, rockwool, radiant barriers, rigid foam board, and blown-in insulation. We offer this wide variety of home insulation products to help our customers save money on their energy bills and improve the overall comfort level of their homes. A home energy audit will pinpoint areas in your home that are prone to energy loss. After identifying all the problem spots, Dr. Energy Saver by Keith Trembley Home Solutions will be able to work with you to make the most effective and efficient repairs that are specific to your home's individual needs. 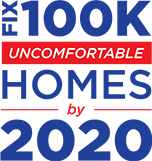 Are you ready for a more comfortable home? Do you want to save money on heating and cooling costs? Dr. Energy Saver by Keith Trembley Home Solutions can help you achieve these goals with our complete home energy services. As an authorized Dr. Energy Saver dealer, you can count on us for the best products and service in the industry. Call us today at 1-207-827-4205 or contact us online to get started on your home energy upgrades with a free estimate! We proudly serve in Bangor, Waterville, Augusta, Ellsworth, Old Town, Bar Harbor, Orrington, Milford, Stillwater, Harborside and throughout the surrounding areas.